We are falling head over heels for The Browsing Butterfly! They revamp your favorite pieces of furniture with a new updated look... all custom and hand painted to fit your style! 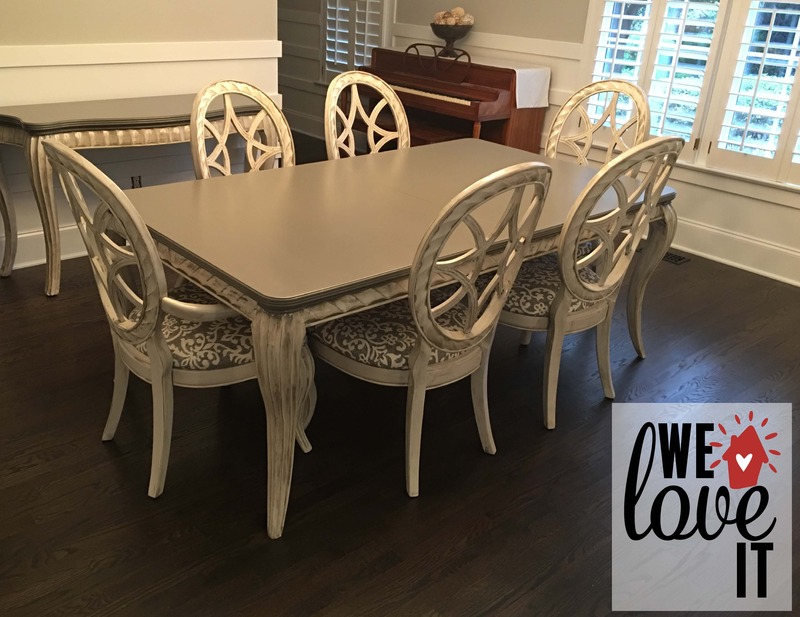 We had our dining room table refinished from it's natural light wood color to this amazing grey and white rustic farmhouse finish, and we could not be happier!